Fill out the for to get an estimate! 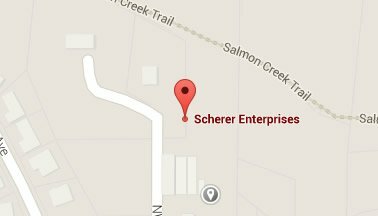 Contact Scherer Enterprises in Vancouver, WA for Kitchen Remodeling, Bathroom Remodeling, Home Additions, and Custom Homes. Fill out the form below to contact a top quality remodeling contractor in Vancouver, WA at Scherer Enterprises. You are welcome to fill out our renovation and remodeling quote form. We will contact you in a timely manner after processing your information. If you prefer, you can give us a call during business hours at the phone numbers listed or contact us by email. We will give you an in-home estimate. Contact Scherer Enterprises To Schedule a Design Consultation!